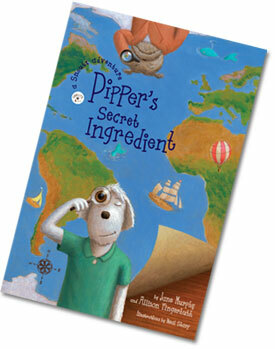 As you know by now, Pipper is the food adventure expert. 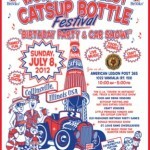 She’s absolutely stoked about all the fun at the World’s Largest Catsup Bottle Festival. She especially likes the Tangy Catsup Taste Test which she says can really tickle your taste buds. 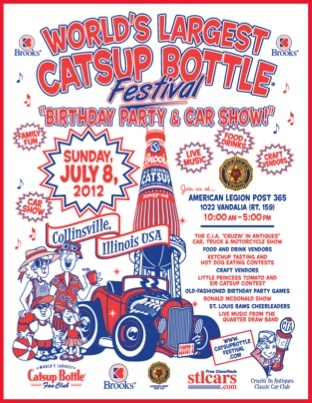 This year’s festival, along with the Festival Birthday Party and Car Show, was held Sunday, July 8 all day (10:00 to 5:00) on the grounds of American Legion Post 365 in Collinsville, Illinois. Do you have a special kind of catsup you can recommend for all the tasters out there? Please share in our comments.